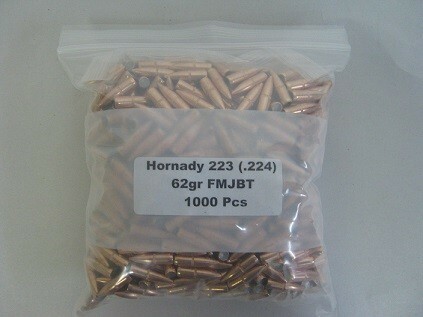 Home / Categories / Rifle & Pistol Reloading Components / Rifle Bullets / Projectiles / 22 Caliber (.222-.227) / Hornady 22cal 62gr (.224) FMJBT BULK 1000/Bag – FREE SHIPPING!! 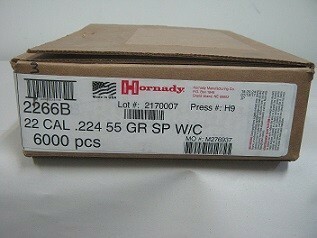 Hornady 22cal 62gr (.224) FMJBT BULK 1000/Bag – FREE SHIPPING!! Hornady Full Metal Jacket Bullets are designed so that the bullet is completely encased in a hard metal jacket (except for the base), which is not intended to expand upon impact. The Boat Tail design is to provide a flatter trajectory and long range performance by raising the ballistic coefficient. 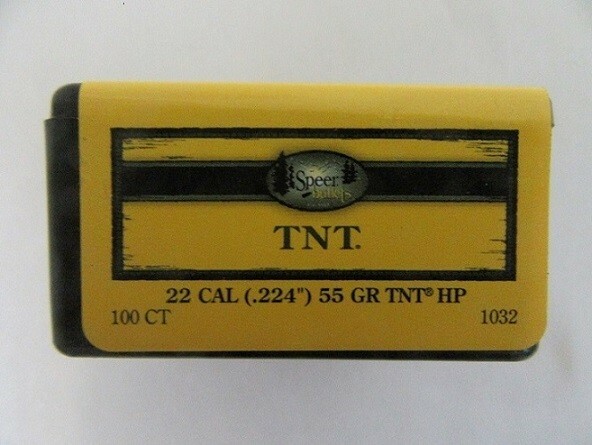 These bullets are primarily used for target shooting and plinking. Also ideal for varmint hunting, this bullet will deliver deep penetration and bone shattering results while also protecting the integrity of the pelt at the same time. 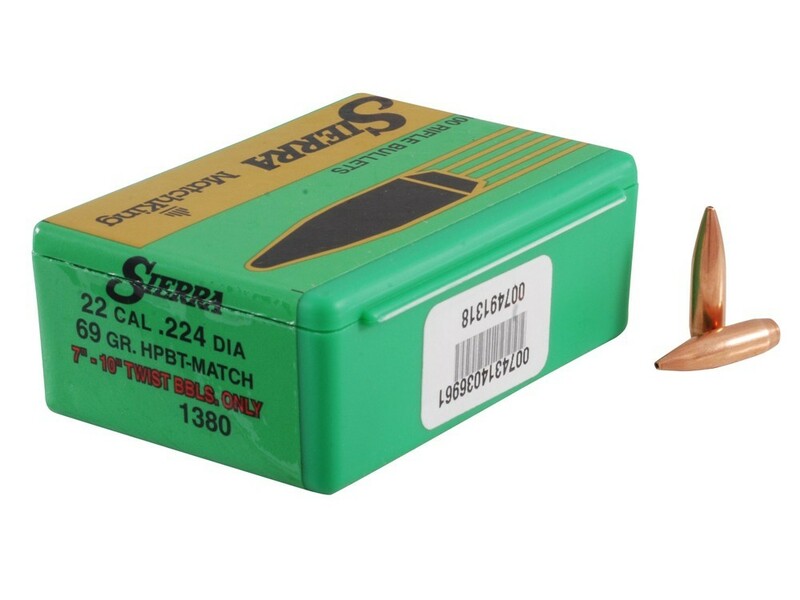 SKU: 22760-1K FREE SHIPPING Category: 22 Caliber (.222-.227).